I’m doing a fall special mini portrait sessions for kids and families. Sessions will be about half an hour or more upon request. I’m charging $50 per half hr session i will bring some props for kids. Contact me and i will let you know time and location. 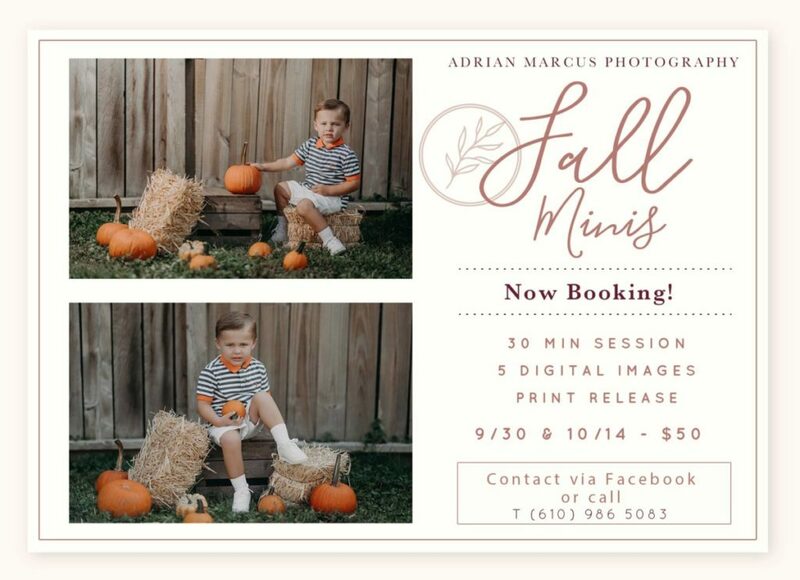 As of right now the available dates are 9/30 and 10/14 take advantage of this mini fall session to get an awesome picture of your kids or loved ones!! Contact me thru my contact form in the contact section. Thank you and looking forward to shooting with you.